When you take out a loan, it is likely that you will be committing to a repayment schedule that spans several years. If it is a mortgage, the time span over which you will be paying off your debt could be anything up to 50 years. It is almost certain that your financial situation will change significantly at some point during that time; if not, then the financial market will almost certainly change around you. As a result, you are unlikely to be consistently getting the best deal on your loan. This is particularly true today, with the rapid rise in the number of companies offering credit, and so renegotiating your existing loans may well be a good idea. You stand to make good savings, and it involves less work than switching loan providers. Before you begin the process of renegotiation, you should work out exactly what it is that you want from your loans. The two main reasons people try to renegotiate (or, indeed, switch providers) are to secure a lower rate of interest, or a more flexible repayment plan. You may well be thinking about getting the terms of your loan changed because you are finding it hard to make your repayments. In these cases, lower monthly payments are likely to be your most obvious answer. This will make honouring your debt commitments easier in the short-term. You should, however, consider the downsides of this. Lower monthly repayments means, in effect, that you will be paying back your loan for longer. As a result, you will be paying interest on a sum that you still owe for a longer period of time and, therefore, paying back a larger total sum at the end of your arrangement. If you are fairly close to completing your repayments, therefore, extending the period should only be a last resort as it makes very little financial sense. Another possible reason for renegotiating is to secure a lower interest rate. This, of course, makes sense in every circumstance. Unless you are extending your repayment schedule, a lower interest rate will guarantee that you will pay back less in total. If you need to make smaller monthly repayments, it is definitely worth trying to negotiate a lower interest rate at the same time. This will mitigate any damage that an extended repayment period will cause. Those who wish to renegotiate a mortgage may wish to do so for other reasons. 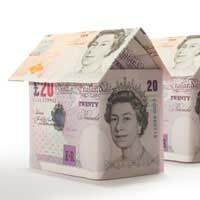 Primarily, you may want to release some available equity in your home - that is, the proportion of the value of your property for which you have already paid. This is an increasingly attractive option of late, as property prices continue to rise. If you are considering this, you may find the article on remortgaging elsewhere on this site useful. In most circumstances, renegotiating is a very sound idea. You will not incur any of the early repayment charges which are associated with switching loan providers, and you are likely to get a better deal at the end of it. Customer retention staff tend to have a lot of influence, and you may, therefore, be pleasantly surprised with what can be achieved with a single phone call. Thanks for sharing a valuable information. It is really informative and helpful. the information that you have shared is really useful. Have you heard that Having too many debts? Overcome different debts in a safe & legal way by applying with us to avail suitable debt solutions, quickly & conveniently.